61% of marketing decision makers said they struggled to access or integrate the data they needed last year. While many of the specific analytics challenges from last year remain top of mind, marketers are making progress. When asked to anticipate 2017 challenges, 22% of marketers cited not having the right tools or technology as a concern—a 15% decrease from last year's reported struggles.6 As we look to the future, the challenges are not so much about acquiring tools as they are about unlocking their full potential—and uncovering useful marketing insights. A recent Economist study showed that 86% of CMOs and senior marketing executives believe they'll own the full end-to-end customer experience by 2020.7 That's a tall order. But in today's digital world, the future is bright for marketing leaders who build a culture of growth that uses data and testing to improve customer experience day by day. 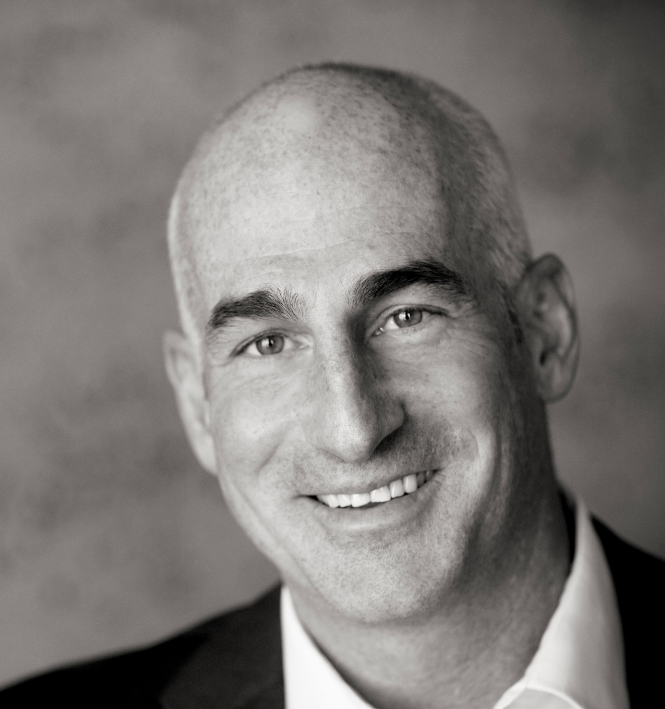 What Was/Will Be the Primary Objective for Your Marketing Analytics Initiatives? 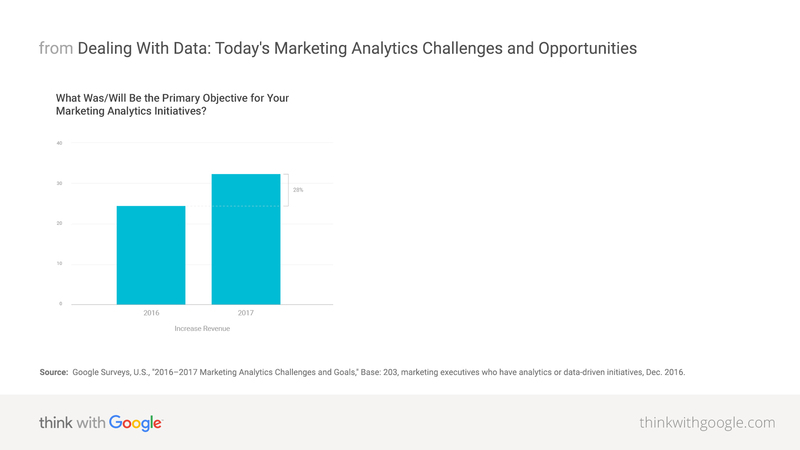 Source: Google Surveys, U.S., "2016–2017 Marketing Analytics Challenges and Goals," Base: 203, marketing executives who have analytics or data-driven initiatives, Dec. 2016. Take inventory: Outline a data strategy so your organization knows what data you have, how you intend to use it, and how it will be shared. Then focus on the marketing analytics that will drive key growth objectives. Organize your data: Integrate a variety of data sources to help you create a holistic view of your customers' behavior. The marketing insights you uncover can open up new opportunities. Share a story: Tell leaders in your organization about an insight you've uncovered and show how it can help achieve business goals. With the right support on your side, you can turn insights into action and drive measurable growth. Download How Analytics and Machine Learning Help Organizations Reap Competitive Advantage to learn more about how you can overcome the data challenges your organization faces this year. 1,2,3,4,5,6,8 Google Surveys, U.S., "2016–2017 Marketing Analytics Challenges and Goals," Base: 203, marketing executives who have analytics or data-driven initiatives, Dec. 2016. 7 The Economist Intelligence Unit, Global, "The path to 2020: Marketers seize the customer experience," base: 499 chief marketing officers (CMOs) and senior marketing executives, 2016.